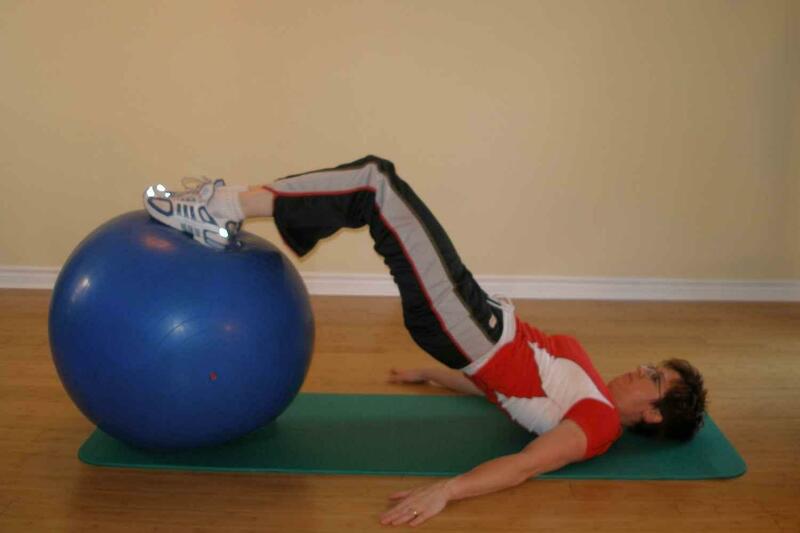 Start this ball exercise in the bent leg bridging position. Lie face up on the floor with your feet flat on the ball. Push down with your feet and lift your hips up toward the ceiling so that your trunk forms a straight line from your shoulders to your knees. Slowly lift one leg up and then lower it back to the ball. Start with short range lifts until you get your balance. If you feel unsteady, go back and work on Bridging with Knees Bent, Bridging with knees straight. You can make this exercise ball exercise a little easier by letting some air out of your ball. A softer ball means a larger area of contact with the floor. Try the Single Leg Bridge. Try narrowing your base of support by putting more are into your exercise ball, or moving your arms toward your trunk. Tie a light resistance band around both ankles attaching one ankle to the other. 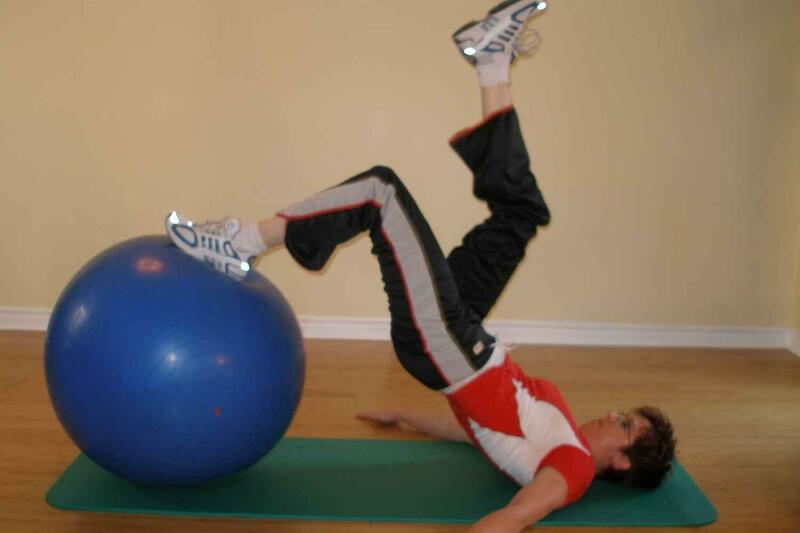 This is a moderately demanding exercise ball exercise as you are forced to maintain a stable trunk supporting yourself on one foot while dynamic limb movements occur. Try 6 repetitions on each leg. Try 10 repetitions on each leg. Try 15 repetitions on each leg.